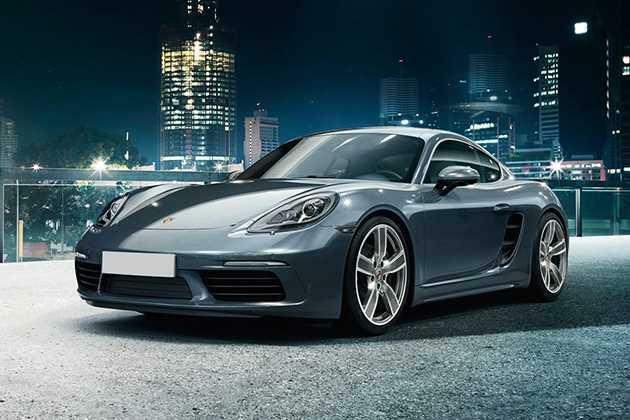 Porsche Cayman is available in 16 different colours - GT Silver Metallic, Racing Yellow, Agate Grey Metalic, Basalt Black Metallic, Dark Blue Metallic, Black, Jet Black Metallic, White, Cognac, Amaranth Red metallic, Lime Gold Metallic, Carrara White, Guards Red, Mahogany Metallic, Anthracite Brown Metallic e, Sapphire Blue. The all-new 2017 Porsche Cayman with the ‘718’ DNA is finally here. Surprisingly, for the first time, the Cayman has been priced below the Boxster. Next-gen Porsche Boxster and Cayman will get the 718 name and will be christened as - 718 Boxster and 718 Cayman. Both the vehicles will be introduced over the course of 2016.